Along with our expansion, quality remains our core management value which governs daily operations. It is with consistent pursuit of quality assurance that we have been able to build the Wellord brand into one of the most recognized names in the industry. To this end, Wellord has always leveraged its production advantage into profitable return. 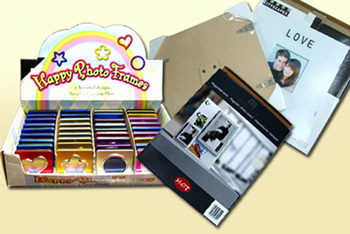 It is true that the technical aspect serves a vital part to embody our photo frames but in affordable result. It is remarkably that Wellord has gone through well balance among cost, quality and efficiency that must indubitably satisfy you all ways. It is a printmaking technique that principally creates sharp-edged image by using stencil and a porous fabric. Silk screen printing has been widely adopted in the many industries. The reason why this is often preferred over other printing processes would go to its quality, cost and the ability to print on many mediums. By situated at an indispensable role of the industry, we make use of this technical know-how in more versatile than traditional printing ever. Literally, transfer printing is another kinds of printmaking technique which removing an identical image onto our products. But what is behind the story goes to the growing sophistication of the printing technique. The image printed on is indeed more durable while comparing to the silk screen printing logos, however, higher cost has always daunted in selecting it as producing printing images. Even though it is not commonly used by most of the manufacturers, we hold perfect technical knowledgebase to deal with it. It is simply the practice of using lasers to engrave the requested images to our products. Among all, this can be very technical and complex, and often manipulate in computer system. Despite the complexity, it deals with extremely precise and clean engravings with exceptional quality output and good price-performance ratios. As far as the "laserable" materials are concerned, our expertise in producing metal frame calls just the perfect surface to manage such skill. All types of goods, be it industrial or consumer, from fashion, electrical appliances, consumer goods to toys, require packaging in some form, whether it's for protection, storage, transport, logistical handling or pure information providing. In addition, packaging makes a statement about the personality and image of a product, and implicit the quality and price level. With the growing sophistication of the manufacturers, marketers and general consumers, packaging has evolved from mere folded boxes to much more complicated and interesting items including blisters packs and linings; together with tags and labels, and even in form of point of sales display units. Wellord sees packaging is playing an increasingly significant role both in the manufacturing and marketing segments. As such, we stress our efforts in providing several kinds of packaging selection that possibly surpass other traditional manufacturers doing. This blue gift box is the standard packaging to our aluminum photo frames. To provide maximum support and protection to the product, each box of packaging is subsumed a wrapping tissue paper and bubble sheet to both at the top & bottom. For those products that forge in metal wire, we take special care on its packaging since they are usually tended to be fragile. In order to achieve maximum protection, we are not just wrapping up with tissue paper, we also use an advance U-shape paper and E-flute white box which able to sustain all the reasonably impacts. Apart from our standard packaging items, we also offer wide range of packing that specially requested by our clients. As shown on the pictures, they are such as the shrink wrapped packing, OEM set, and designer's packing, etc. While recognize the important of steering at the edge on design, we always take full account of the packaging quality with ultimate protection. Backed by our own in-house designers, we are always readily to give you some refreshing ideas that make each item to emanate its true meaning behind. Our production materials can be generally classified into two main categories based upon the imported and local materials, each of this material owns it unique attribution to produce. 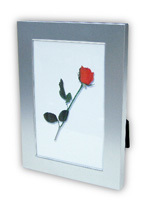 While taking on the challenges of the market in terms of increasingly complex design and format, flexible production, and high quality requirements, utilizing premium aluminum as the production materials has proved to be able to develop the most suitable showcase to end customer communities but slash in costs. Notably, Wellord holds the competency to make aluminum material products look identical to stainless steel. The strength of our products have never been merely to this, we are also dominant the technique on the process of post-processors. These are such as extruding, bending, milling, welding, anodizing, spray painting or paint coated, antioxidant and ageing processes. In such, our stringent control leads high quality and protecting it surface from atmospheric rust corrosion. Despite of our expertise in making metal frames with aluminum, our reputation has not limited us in producing other kinds of products. Wellord has historically been producing or fabricating many kinds of collection items with the materials of acrylic, wood, leather, brush fabric, die-cast alloy, and even luminous substance. Presenting its unique rugged feeling to audience, dull in color, unpolished adhering filament or strand onto its surface, material of mat silver originates from China since price is said to be more competitive. However, imported material is ably used in production upon client's request. In some cases, we coated the mat silver with thin layers of color painted to give the surface strong resistance against erosion or turn the rugged surface into sleek. As such, combo materials item emerged to the market by an idea of coupled mat finished sliver and bright shiny silver to give a contrast to the ordinary frame. With simple design, Mat Silver item becomes one of the most popular selections in producing and hottest item that almost all customer would love to have. One of the most popular items in the market, DHS owns tiny filaments as Mat Silver do, however, it emanates a sense of elegant with nicer finishing process. The thickness of this material substantiates the photo frame with a solid, metal alloy and stainless steel alike. Due to its unique attribution, it is rare to spray any paints on it but just presenting it in plain silver. Simplicity last beauty forever, the DHS has always been seizing large volume of market share. A special finished process has performed to our entire Shiny silver item. This smooth glossy surface is indeed given the sense of chic, futuristic, glamorous and elegant. Some of items mixed this material and turn it into due tune. With our sophisticated finishing technique, it brings the new meaning of aesthetic that filled all over the atmosphere. As we also place efforts to produce photo frames and interior decoration with material other than aluminum, various types of our products that become factory standard or popular to end customers. As illustrated above, you can see some of our items that produce in other materials, these are such as acrylic, wood, leather, brush fabric, die-cast alloy, and even luminous.